For this and all future events, we would like to standardize the video data files we would like each team to collect the following. See our Full Campaign Observation Protocol Page for more details. You should configure VirtualDub to save your files sequentially by using “Set Capture File” to save as C:/Users/RECON/Data/YYYYMMDD/YYYYMMDD_01. You should record the filenames and information about each file using the RECON Observation Logsheet. See RECON Event Detail Page for 08FC76 for finder chart provided by Marc Buie. Note that north is up in this automatically generated chart. The green rectangle represents the field of view of a standard RECON system, although the orientation of the rectangle does not match the orientation of the field at the time of the event. Marc will work on upgrading this feature in the future. 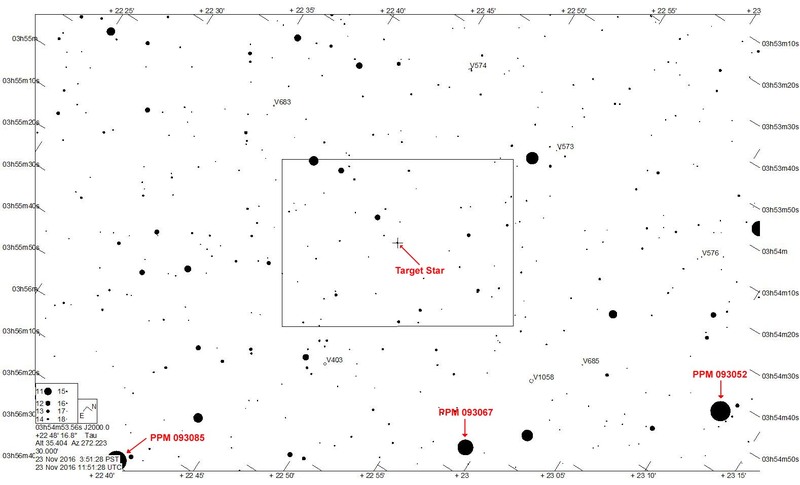 Star chart provided by Jerry Bardecker. 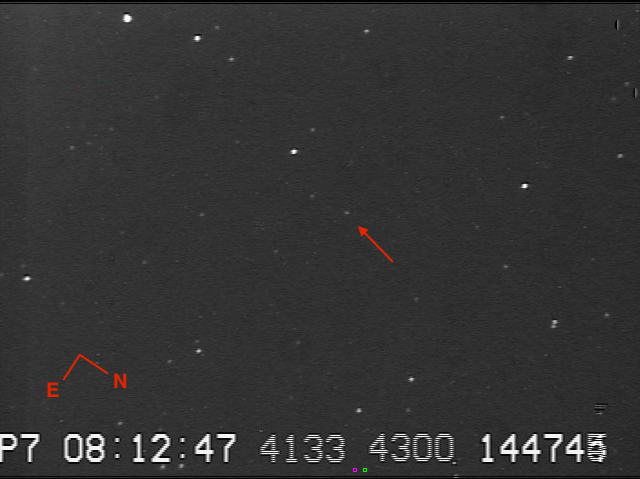 Rectangle shows field of view for RECON camera setup in orientation during time of event.